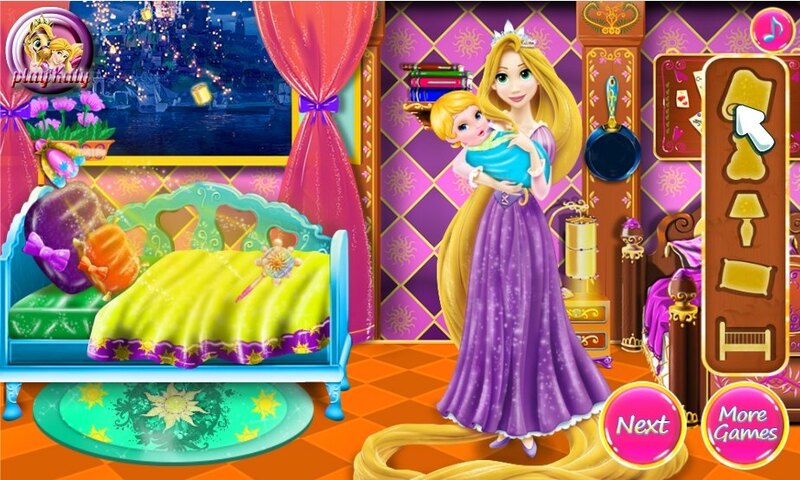 Rapunzel became a mother and now she has many worries about the baby. Today she bought the store a new bed for the baby. Look what a beautiful crib! But now Rapunzel is a problem. How to collect it. As she tried, but she can't get it to collect it. The child wants to sleep, and Rapunzel in confusion. Help the Princess to collect and decorate. How to play: help beautiful with a long braid to assemble a crib for her baby. Use the mouse to move parts of the bed on the right side of the screen to the left. Played: 26055. Added: 4-12-2015, 18:45. Assemble the bed part for the baby Rapunzel.